"A story of industry, of individual enterprise -- humanity crusading in the pursuit of happiness." Modern Times is one of three films on the list by the great silent-era star Charlie Chaplin (the other two being The Gold Rush and City Lights) and one I'm proud to say I've seen and loved before this. I think there's a lot for actors to love in Chaplin: his economy of movement, his creativity, his clarity, and most obviously his joy in storytelling. Company: just me. The little tramp. Cuisine: red wine. Thinking thin. First we see sheep being herded out of a pen, which then blends into workers shoving their way out of a train station. It's not subtle but at least it's clear and arresting. We open on The Little Tramp, working in a factory tightening bolts on an assembly line for probably pennies a day. Life ain't easy for the guy, and we can tell he doesn't belong. 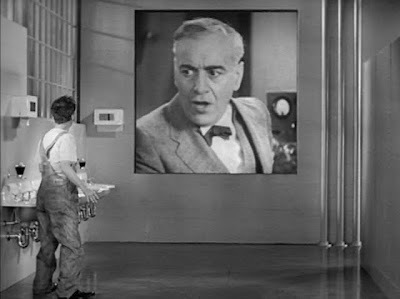 It seems Big Brother is watching him, even on his bathroom break! 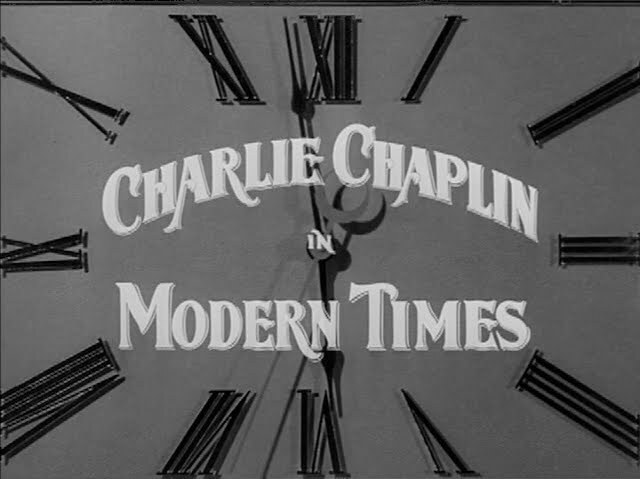 This is one of Chaplin's more overtly political films, most obviously satirizing the lack of opportunity for the lower class in America during the Depression, and specifically at the expense of efficiency in the technological revolution of these ... wait for it ... modern times. Soon it's clear that we're seeing man only as an extension of a machine, and soon, solely as a machine without human qualities. 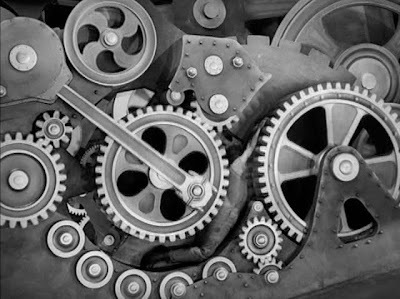 The assembly is only serving the factory as an extension of a machine that already exists; you get the sense that as soon as they invent a machine that can tighten bolts, the Tramp would be out of a job. 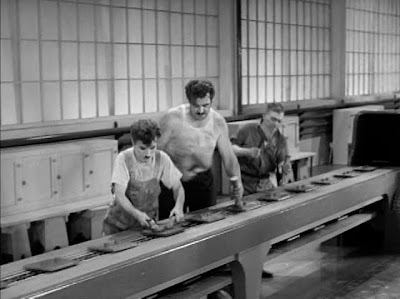 Chaplin is warning us here against treating humans as machines -- at one point, the Tramp is even the subject of a test run for a feeding machine that would eliminate the need for a lunch break. Of course it goes terribly wrong, and ultimately the Tramp has a nervous breakdown (going so far as to spray his co-workers with an oil can -- we get it!) and is thrown out of the factory. In a series of mishaps (welcome to his world), the Tramp lands in jail on trumped-up charges. 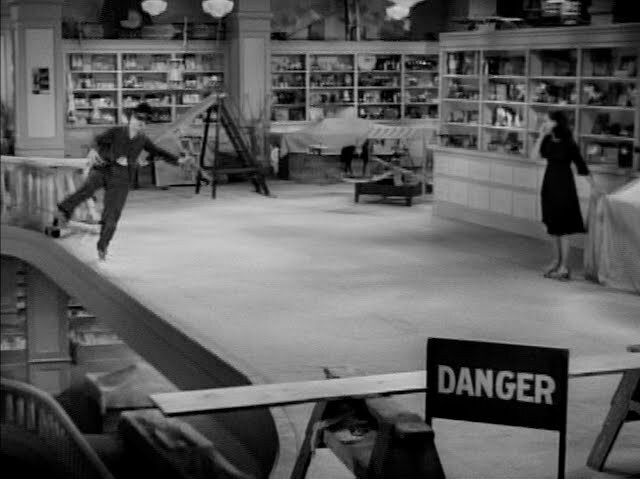 After discovering that the world inside prison is a much more accommodating one that the real world, he continues to look for excuses to end up behind bars, even going so far as to take the blame for an orphaned young woman (played by the lovely Paulette Goddard) when she steals a loaf of bread. The two tramps form a bond and dream of a better life. "We'll get a home, even if I have to work for it!" Luckily, the Tramp has a work voucher, and lands a job as a night watchman in a department store. Each of these plot points really serve as ways to highlight Chaplin's unbelievable dexterity and comedic talent. Of course, roller skating near a giant drop-off is cringe-worthy, and had me gripping my seat in terror. The film treats the Tramp and his 'gamin,' as she's called, as children wandering through a world of adults, but are we meant to think that they're delinquents? Or are they just dreamers, showing us the world could be better if we didn't take everything quite so seriously? I don't think of either of them as real criminals; they're both regular people in unlucky circumstances that have had to resort to drastic measures in a hostile economic environment. Chaplin's career spanned for several decades and became the prominent comedian during the first World War, a time when people needed a break from the everyday grind, a break from remembering how messed up the world really was. The world needed to know that an abandoned shack was sitting somewhere waiting for them, too. Although "it's no Buckingham Palace," the couple are nearly poetic in their ecstasy for their newfound home. One of the best bits, one where I actually laughed aloud, was when the Tramp jumps into the lake only to find it's about a foot deep. The timing. The timing! 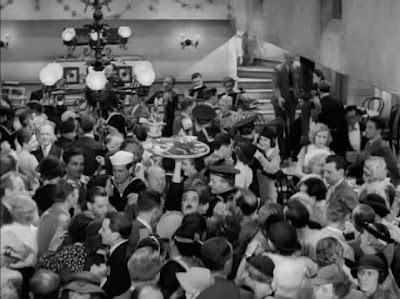 This scene is certainly one of my favorite sequences, because it seems to sum up so concisely what the film is about -- making the best of unfortunate circumstances, and making a little luxury out of nothing. Nobody said waiting tables would be easy. Soon both he and she have found work and everything is looking up. We even hear Chaplin sing a nonsense song (supposedly the first time his voice was ever heard onscreen -- this film of course came out long after talkies were in fashion) at the high-end restaurant where he's waiting tables and she's dancing. Of course, their plans are foiled when she's recognized as that orphan on the run, and the pair yet again has to make a break for it. After so much, after so many mishaps, she plops down near the end of the film and asks, "What's the use of trying?" The ultimate tragedy! Giving up hope! 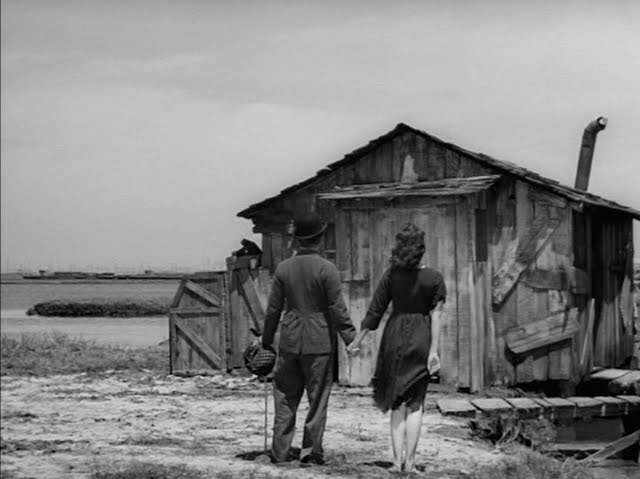 But the Tramp is relentless, and convinces her that there will always be a second chance. 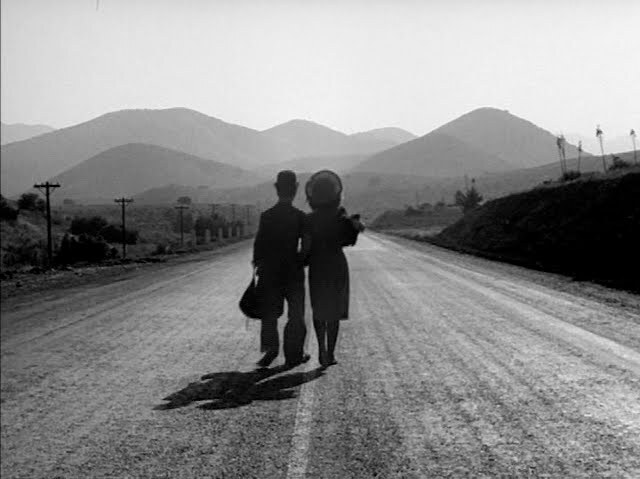 It's one of the great endings and one of the great poetic moments on film to watch them walk off into the sunset, pausing only to remind her to smile broadly as they face a new adventure. 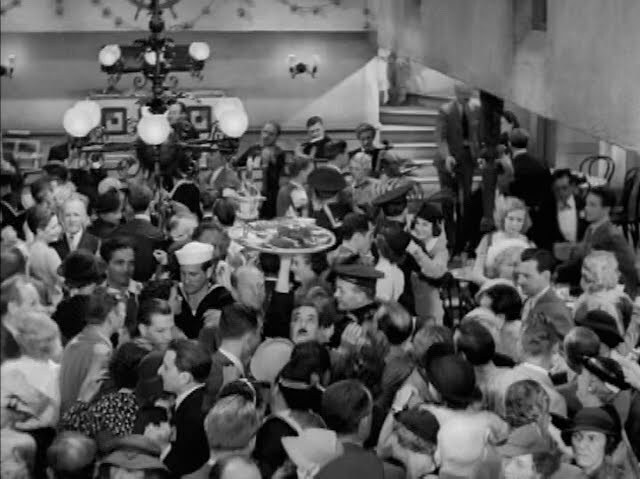 I had truly forgotten how compelling and exciting Chaplin's storytelling is. The last silent film I watched on this list, Sunrise, was much less about storytelling and more about expression and emotionality. Here, you rarely even need the title cards to know precisely what's happening. 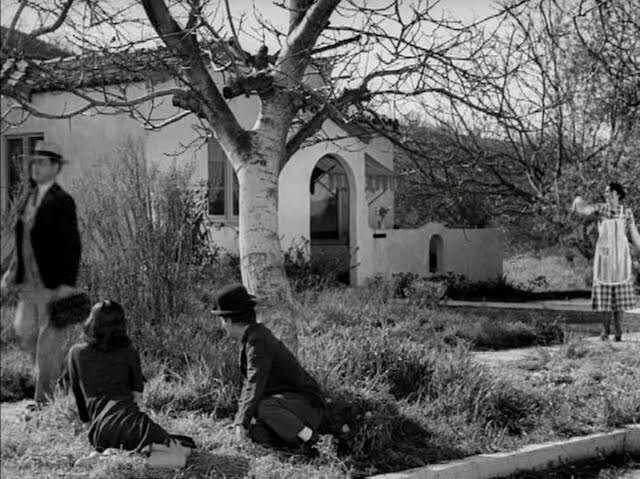 I also liked finding out that after this film Charlie Chaplin had a brief six-year marriage to Ms. Goddard, even knowing that it wasn't all sunshine and roses as the end of this film would maybe lead you to believe. He did woo a lot of ladies. All right, next up is #77: back to the 70s with All the President's Men.